Desulfurization gypsum, also known as FGD gypsum (flue gas desulfurization gypsum), is an industrial by-product gypsum obtained by desulfurization and purification of flue gas generated after combustion of sulfur-containing fuel (coal, oil, etc. ), and its composition is calcium sulfate dihydrate (CaSO4.2H2O). The desulfurization gypsum in thermal power plants is mainly produced by the limestone-gypsum wet desulfurization process. 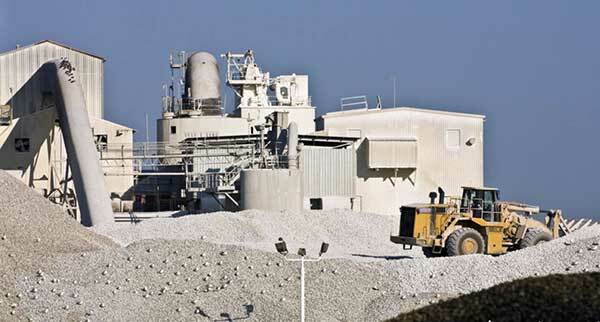 The method uses limestone as a desulfurizing agent, and sprays the absorbent slurry into the tower to fully contact and mix with the flue gas, thereby washing the flue gas, then the SO2 (in the flue gas) reacts with the CaCO3( in the slurry) and the strong oxidizing air (blown in). This reaction produces calcium sulfate dihydrate. According to different burning coals and dust removal effect, the desulfurized gypsum has different colors in appearance, the common color is grayish yellow or grayish white. Gray is mainly due to the high fraction of unburned carbon stars in the dust and contains a small amount of CaCO3 particles. The natural gypsum powder is a white powder, and the chemical composition is similar to that of desulfurized gypsum. Impurities are mainly composed of clay minerals. 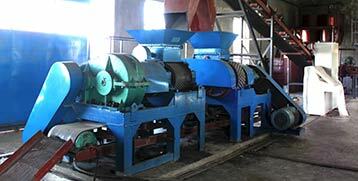 The formation process of desulfurization gypsum is completely different from natural gypsum. Natural gypsum is formed in a slow, long-term geological process. The impurities are basically distributed on the surface of the crystal. The crystal structure of clay minerals is intact and well developed. 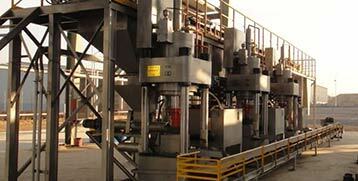 Desulfurization gypsum forms a rapid precipitate in the slurry. Soluble salts and inert materials are distributed both inside and outside the crystal. Different in original physical state. Natural gypsum is a block that is bonded together, while desulfurized gypsum is present as separate crystalline particles. Grindability. The pulverized particles of natural gypsum are mostly impurities, while the coarse particles of desulfurized gypsum are mostly gypsum. Particle size and grain grading. The particle size of the desulfurized gypsum is relatively uniform, the distribution band is narrow, particles are mainly concentrated between 20-60 μm. Grain grading is far worse than gypsum powder when natural gypsum is grinded. 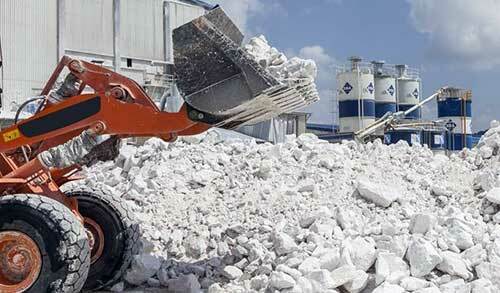 Desulfurized gypsum has high water content and high fluidity, only suitable for belt transportation. Desulfurization gypsum and natural gypsum are different in dehydration, grindability and mechanical properties of calcined gypsum powder due to the different impurity composition. Desulfurization gypsum has few harmful components. 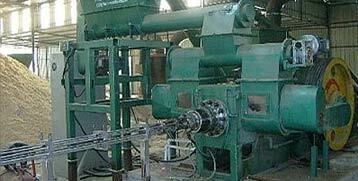 When used as a cement retarder, it can basically replace natural gypsum. The prepared cement performance is not much different from that of prepared with natural gypsum, even the cement strength will be a certain increase. 1. Desulfurized gypsum contains partially unreacted CaCO3and partially soluble salts, such as potassium salts and sodium salts. The presence of these impurities promotes the hydration process of cement. Meanwhile, these impurities can also stimulate the activity of the mixed materials, which is conducive to the development of cement strength in the later stage. In the case of the same impurity content, the calcium carbonate particles in the desulfurized gypsum (although the content is very small) are partially involved in the hydration reaction of the cement. The remaining part of the calcium carbonate particles is generally present in the form of limestone particles alone or in the form of a core in the calcium sulfate dihydrate center. Equivalent to increasing the amount of calcium sulfate particles that effectively participate in the hydration reaction, make it more effective than natural gypsum. The impurities of natural gypsum are mainly clay minerals. After grinding, the particles are relatively large, and generally do not participate in the hydration reaction when the cement is hydrated. 2. When desulfurization gypsum is used as a cement retarder to prepare cement, the cement has a larger specific surface area than the natural gypsum during the same grinding time. The grindability of desulfurized gypsum is better than natural gypsum, and the desulfurized gypsum itself is a fine powdery material. 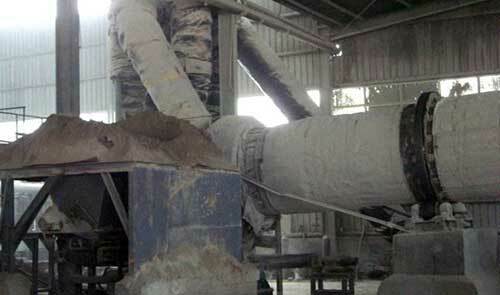 When grinding, it has a grinding effect on clinker and other mixed materials, make the cement with much more fine particles and a significantly larger specific surface. Due to these two factors, when used as a retarder, the performance of natural gypsum is somewhat inferior to desulfurized gypsum. 1. Desulfurized gypsum contains partially unreacted CaCO3 and partially soluble salts, such as potassium salts and sodium salts. The presence of these impurities promotes the hydration process of cement. In the case of the same impurity content, the calcium carbonate particles in the desulfurized gypsum (although the content is very small) are partially involved in the hydration reaction of the cement. The remaining part of the calcium carbonate particles is generally present in the form of limestone particles alone or in the form of a core in the calcium sulfate dihydrate center. Equivalent to increasing the amount of calcium sulfate particles that effectively participate in the hydration reaction, make it more effective than natural gypsum. 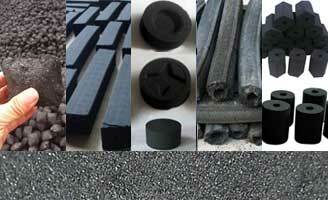 When using desulfurization gypsum as a cement retarder, there are mainly two ways. Mix desulfurization gypsum with other mixed materials such as coal gangue and slag, then send the mixed raw materials to the raw material warehouse for cementing. This will solve the wet and sticky problem of desulfurization gypsum, but the addition of the loader batching part produces dust, and can not guarantee the uniformity. The incorporation of desulfurized gypsum and mixed materials in cement is unstable, is not conducive to the stabilization and adjustment of cement performance. 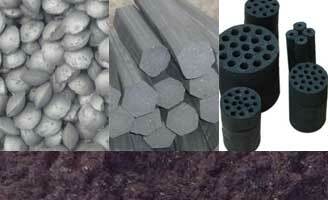 The sticky powdered desulfurized gypsum is briquetted into a briquette with a roller briquette press with its the mechanical external force, and then the gypsum briquette is placed in the raw material warehouse to carry out the cement compounding. It solves the problem of unstable ingredients and effectively ensuring the stability of the cement performance. 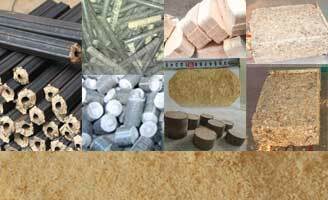 Generally, the price of desulfurization gypsum after briquetting is still lower than natural dihydrate gypsum. Among several industrial by-product gypsums, the effect of desulfurization gypsum as a cement retarder is the best. Its composition is similar to natural gypsum. It is a good substitute for natural gypsum. 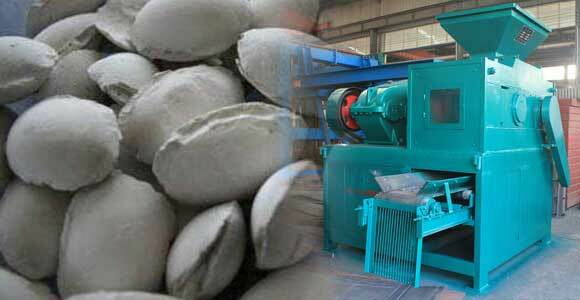 Beside used as a cement retarder, there are many other uses for desulfurization gypsum.